USAF Services aims to form an online community asking questions and sharing answers that help Airman and families. Did you know that the USAF Services website has a section devoted to spouses? The Spouse Support portion of the site is designed to provide Air Force spouses information on resources to help them adapt to Air Force Life. 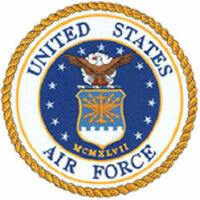 The site also has forums are available to registered users that are designed to allow for peer support to provide real perspectives on life in the Air Force. In the coming months, USAF Services aims to form an online community asking questions and sharing answers that help Airman and families stay ready for the unique challenges of military life. Leave us a comment and let us know if this resource is helpful to you. The Military Spouse Career Advancement Account (MyCAA) provides military spouses establish portable careers.